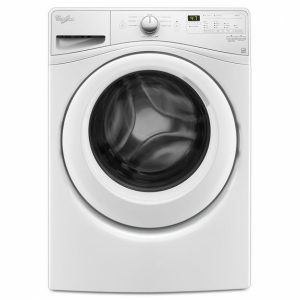 This mega-capacity dryer from Whirlpool can accommodate your heaviest loads with 9.2 cu. ft. of capacity. 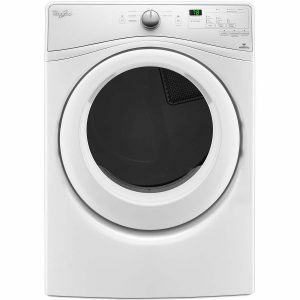 A durable stainless steel drum is built for longevity and the dryer’s extra interior fin creates a tangle-reducing tumble pattern, so your clothes leave the dryer ready to wear. Ten (10) dry cycle selections include Bedding, Delicates, Heavy Duty, Normal, PowerDry, Rapid Dry, Sanitize, Steam Refresh, Timed Dry and Wrinkle Control. 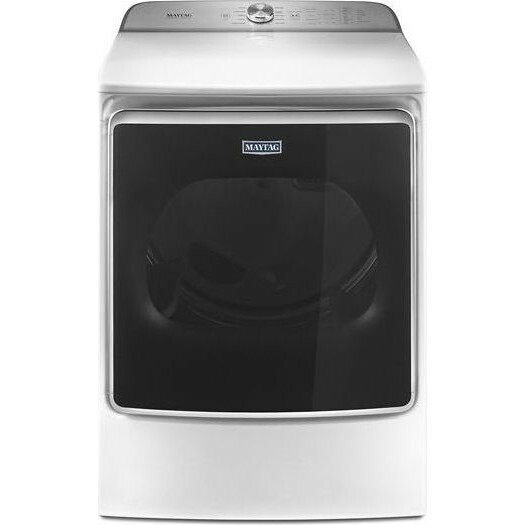 The Steam Refresh cycle is perfect for dewrinkling and deodorizing your clothes without the need for rewashing. For especially tough loads, the PowerDry cycle runs hotter and works harder. 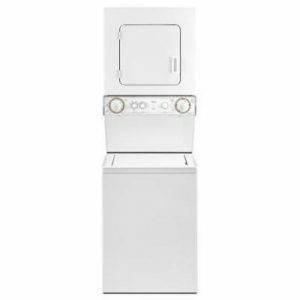 And, all these powerful drying features come to you in a money-saving ENERGY STAR qualified model. The PowerDry cycle runs hotter and works harder with optimized heat and airflow to power out moisture and dry tough loads faster. 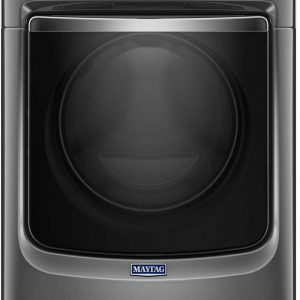 Maytag’s extra-large capacity dryer is designed to tackle your heaviest loads with a massive 9.2 cu. ft. of space. Exceeds federal guidelines for energy efficiency – that means big savings on utility bills.